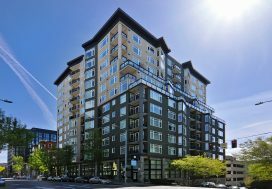 Earlier in the year, we helped these clients sell their investment condo in Ballard to prepare for this condo purchase of a larger in-city condo for them to raise their kids in. 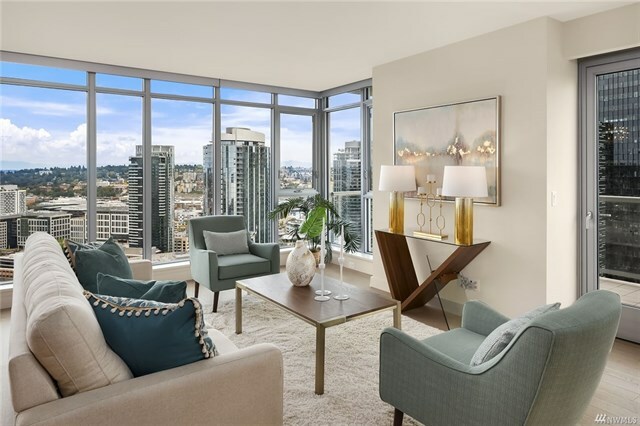 After looking at condos in a ton of buildings around South Lake Union, Belltown and Downtown we narrowed the search down to Insignia and Olive 8, based on these buildings locations and amenity packages. 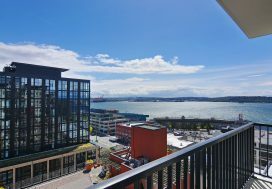 Looking for a layout of 2 bedrooms plus a den we kept our eyes opened for just the right condo in the right price range to come on the market. Once this beautiful corner unit at Insignia reduced their price into our desired range, we pounced. We negotiated through the offer and counter offer process to land on an agreement that worked for both buyers and sellers. Then we walked our buyers through the financing, resale certificate review and escrow process through to a smooth closing in less than 3 weeks. Enjoy your new bigger condo Chris and Mel!